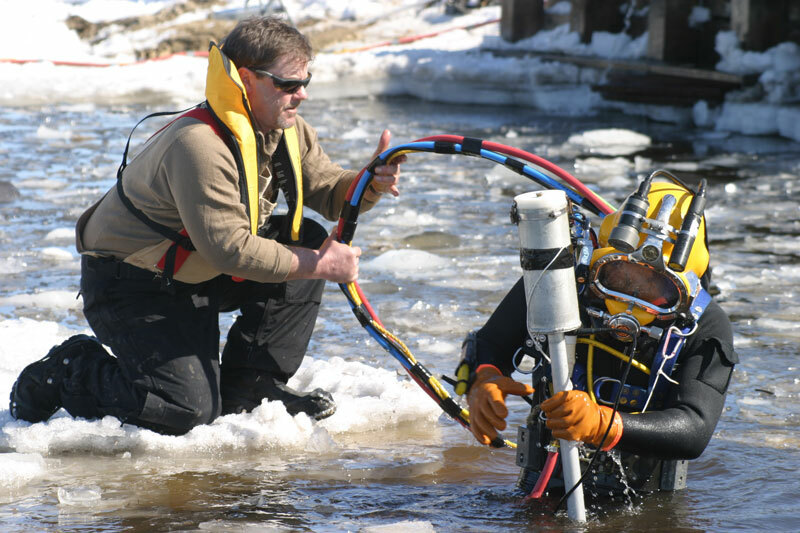 VRHabilis was awarded the contract to conduct an underwater UXO clearance of Alderwood Lake, located at Fort McCoy near Tomah, WI. 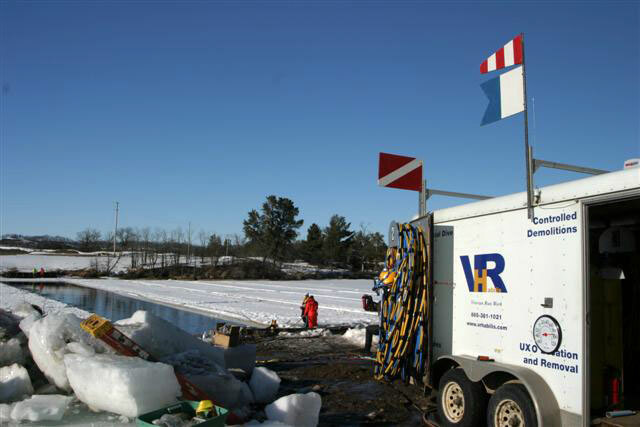 VRHabilis mobilized on 24 February 2010, and commenced field operations, after site setup, on 1 March 2010. 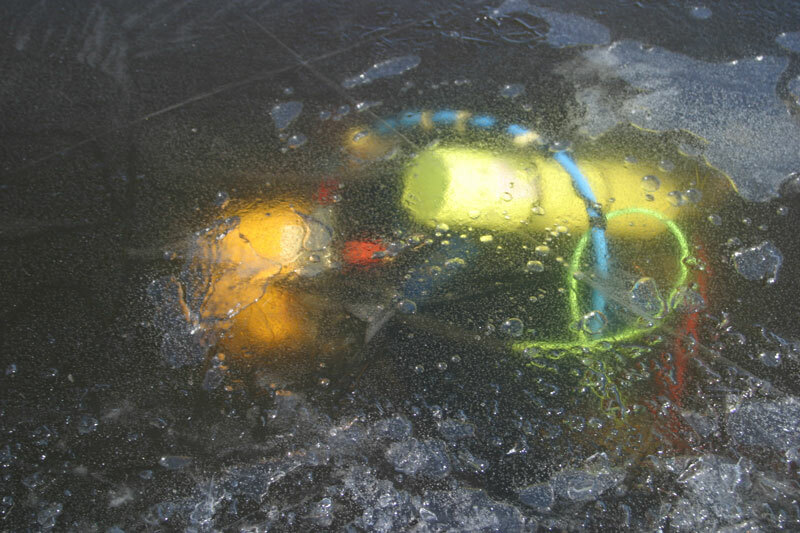 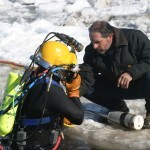 Site conditions were considerably different than anticipated, with the lake having a maximum depth of 4’6″ versus 10′ and an ice depth of 22″ versus 12″ as discussed on the site walk. 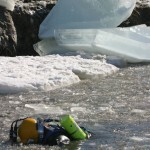 This change negated the ability to dive under the ice in the majority of the lake. 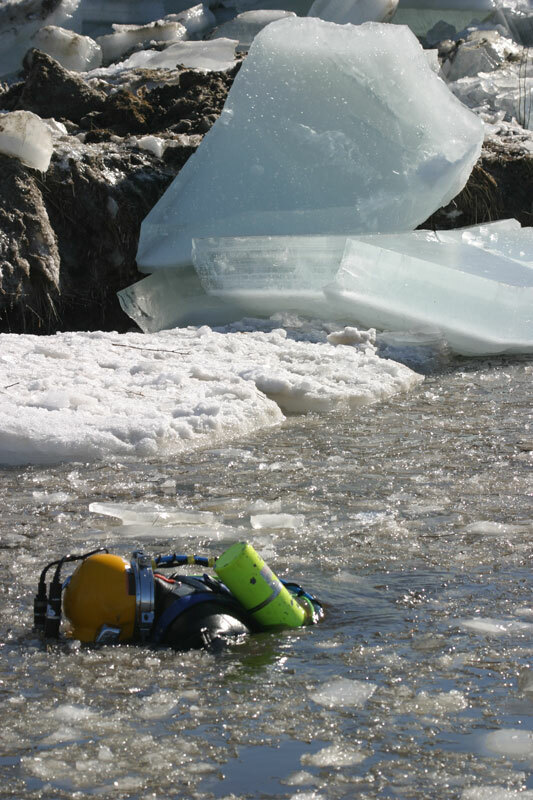 VRHabilis responded with an innovative new plan to accomplish the tasking. 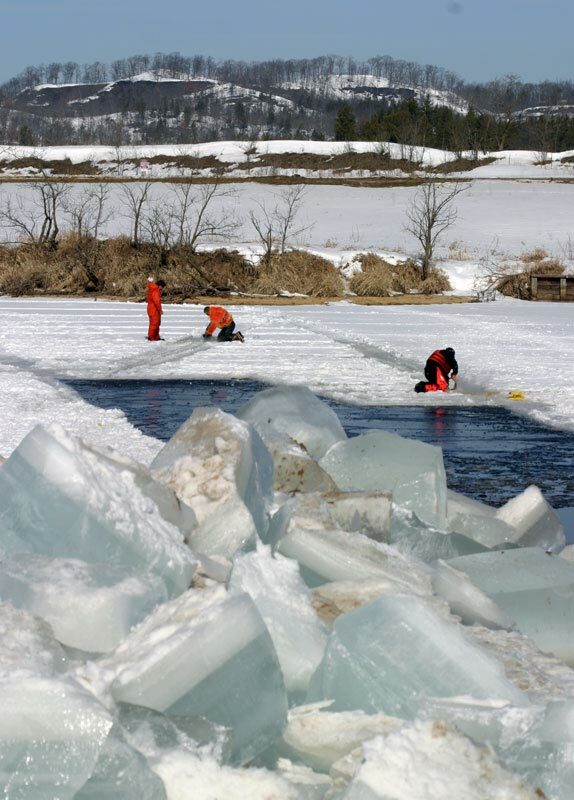 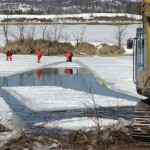 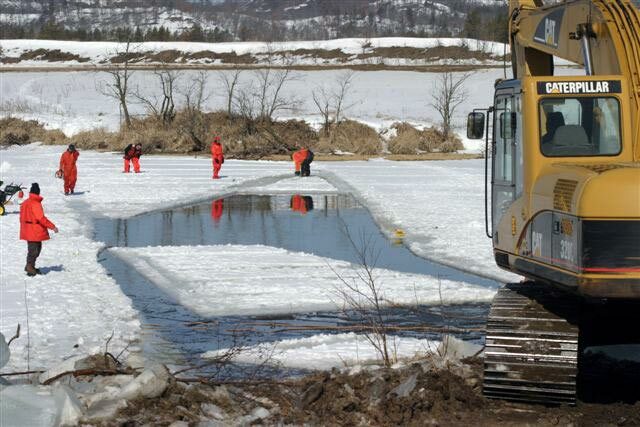 Approximately 870 tons of ice was removed by excavator to create a fifty-foot open channel across the lake. 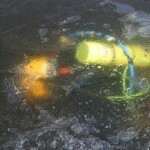 The open water was then dived to clear the bottom of that section. 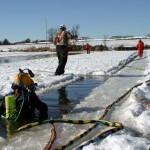 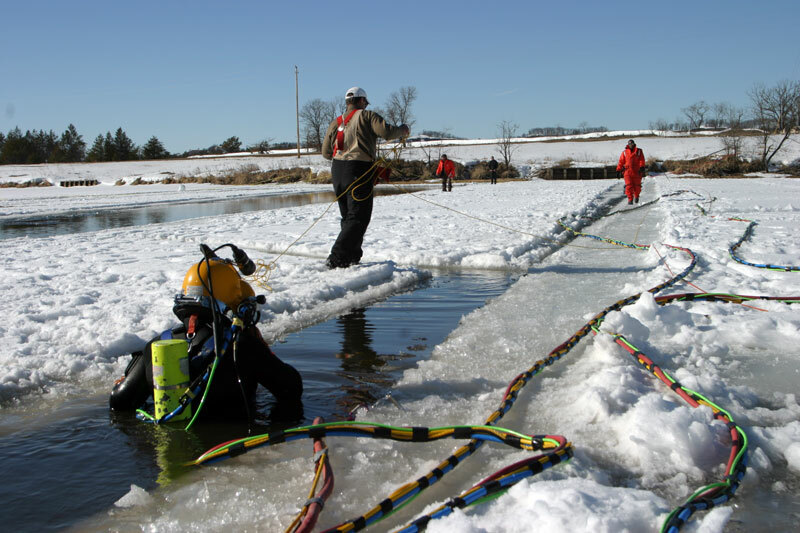 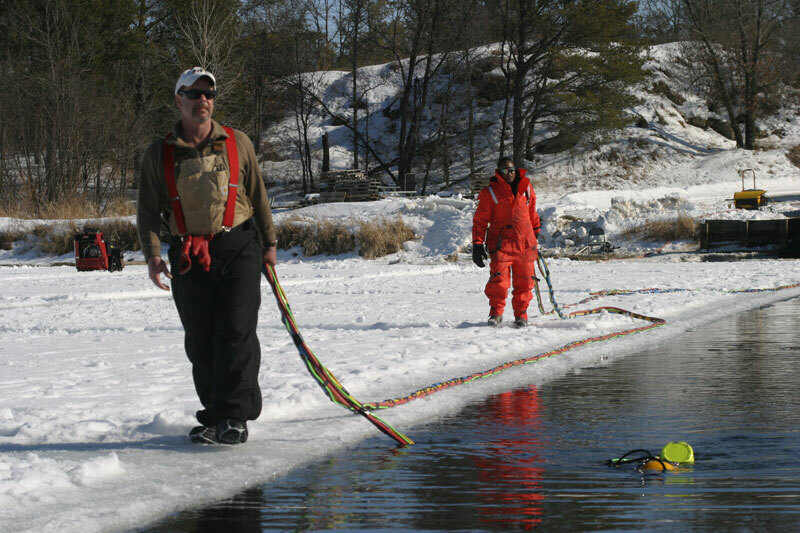 Rafts of ice, 40′ wide were then successively cut and slid over the cleared area so that the entire lake with water deeper than 22″ could be dived and cleared. 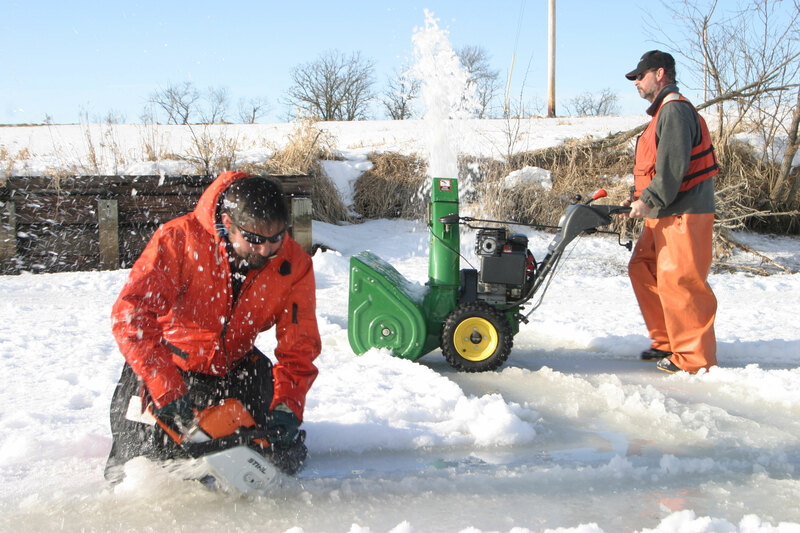 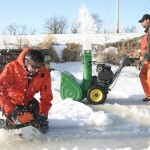 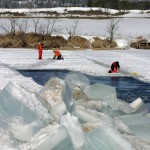 The rest of the lake was cleared from above the ice with several contacts being removed through holes cut in the ice immediately over the contact. 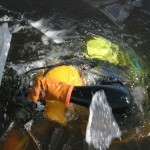 This method was repeated near the dam with similar success. 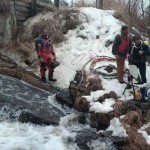 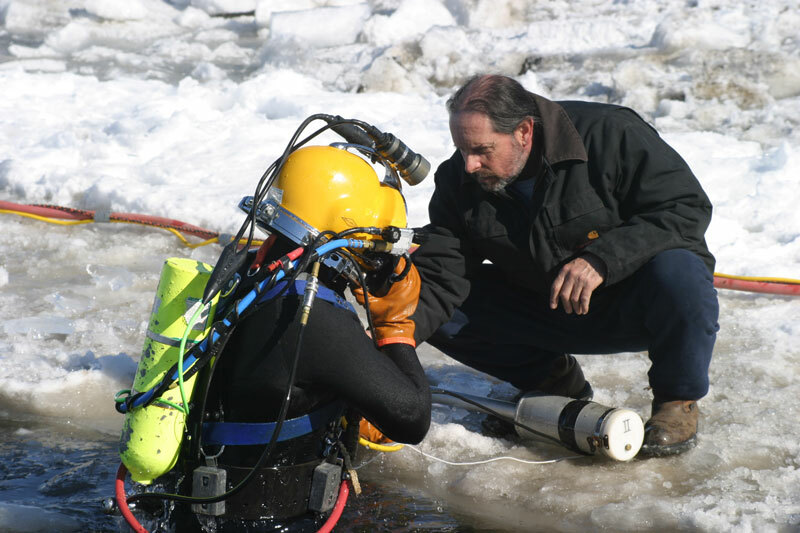 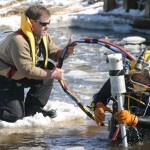 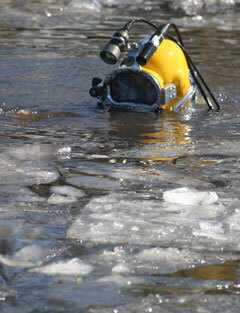 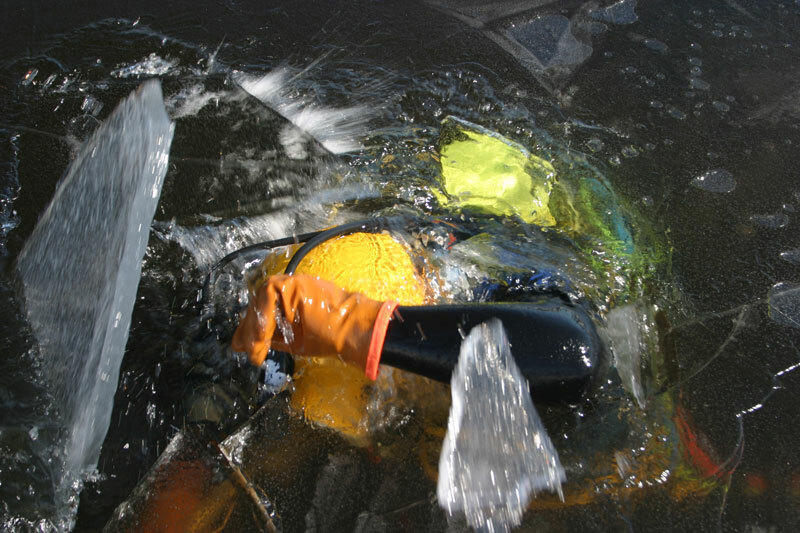 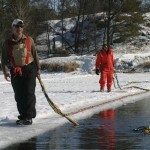 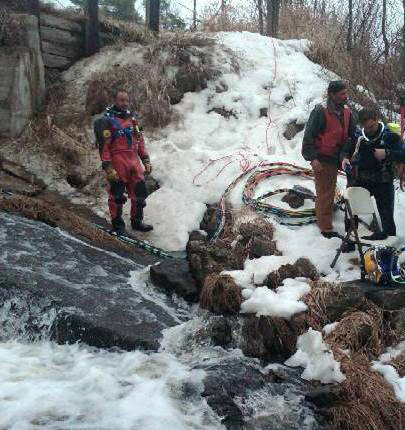 The downstream area was successfully searched with a diver and all work was done without incident. 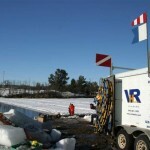 In all, approximately 5200 tons of ice were moved to allow for dive operations.